Progressive Metal: A niche subgenre of a niche genre. And my favourite kind of music! Join me as I talk about my three favourite albums of 2015. Prog metal typically escews the Cookie Monster vocals of death metal, cheeseball hooks of power metal, and bite-sized tracks of thrash metal in favour of lengthy tracks with strong, melodic vocals, masterful use of tempo shifts, and technical vituosity to create a sound that tries to tell a story or elaborate on a concept while you tap your foot to the speedy beat of double bass pedals. For a band that’s been around since 1986, and for a band that has a 55-year-old frontman (although, you’d never know it by listening), this albums with an absurdly long title is a massive achievement. The follow-up to 2014’s Part I album of the same name, Part II continues the fantasy story penned in collaboration with German novelist Wolfgang Holbein. I’m not 100% sure if it’s a sequel or an alternate reality, but it’s freaking amazing regardless. I don’t know how to review music, but I will say, this is definitely the best prog metal album to come out this year. Every track manages to achieve tremendous energy - it sometimes tricks you into believing a song will be a ballad before cranking the amp to 11 and going heavy on the guitars. 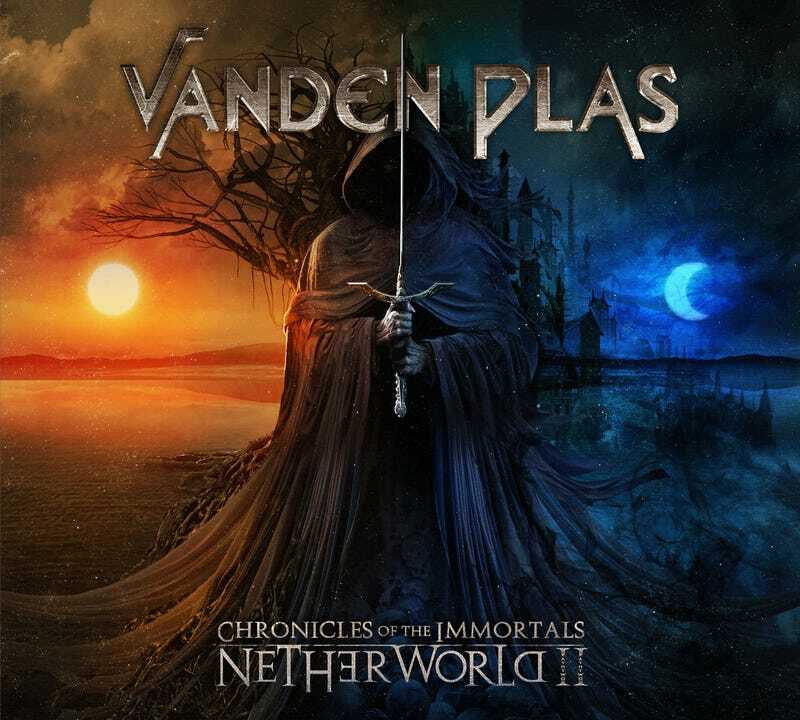 Vanden Plas seemingly gets better with every album, and unlike many bands that started around the same time, Vanden Plas seems to be actively improving its sound and attracting new fans through perpetual change, instead of allowing itself to lean on the classics. This female-fronted metal act from France is a relative newcomer to the prog metal scene. Their previous albums were pretty forgettable, but they come out in force in this concept album based on HP Lovecraft’s Cthulhu mythos. The album has a very theatrical bent - likely due to the influence of collaborator and multi-talented composer/musician Arjen Anthony Lucassen (Ayreon, Star One) - frequently featuring lines of dialogue ripped straight from the Lovecraft novels that inspired the theme of the album. The album comes off as downright otherworldly, which perfectly matches the theme it’s going for. In fact, it’s so unusual for me that I really don’t know how else to describe it. Compared to other music in the genre, it uses some really quirky techniques to create this tone that really gets under your skin. I love it! 20 years going strong, Symphony X breaks out another great album with Underworld. While not my favourite Symphony X album (that would be V, a concept album based on the fictional fall and rebirth of Atlantis), Underworld picks up where previous works Iconoclast and Paradise Lost left off. The albums got a very heavy, aggressive sound, but this is both to its benefit and its detriment. The band always approaches interesting, high-brow subject matter in their albums (I believe this one is based loosely around Dante’s Inferno and other literary depictions of Hell), but the heavier sound they’ve been working with since Paradise Lost sometimes comes off as try-hard, and almost a waste of frontman Russel Allen’s incredible voice - my number one inspiration for my own vocal style - as he drops soaring, preaching vocals in favour of angry growling. Still, a great album nonetheless, and while I’d love to see SymphX return to their more melodic sound (maybe even a sequel to V <3) before they retire, I’m not at all unhappy with the work they’re producing right now. I was really hoping to make a Top 5, but doing so would have really been a stretch. Two albums this year - Teramaze’s Her Halo and Riverside’s Love, Fear and the Time Machine were massive disappointments compared to previous efforts. Teramaze dropped their downbeat-but-intense sound in favour of pop-like hooks and cheesy melodies, while Riverside forgot its previous albums were some of the best prog metal works around, dropping the heavy sound completely in favour of floaty, ethereal prog rock music. I also thought many of 2014’s best albums - Anubis Gate’s Horizons, Teramaze’s Esoteric Symbolism and Hemina’s Nebulae - were released in 2015. I would have added them on the list, as they’re all phenomenal musical works, but alas, they’re a year too old. :P Definitely check them out though! EDIT: Here’s more recent music (2013 or later) that I’m really fond of.